In the heart of the Derbyshire Peak District, surrounded by characteristically English gardens and grand water fountains, Chatsworth house is a dream. Home of the Duke and Duchess of Devonshire, passed through the Cavendish family for 16 generations, this stately home is the keeper of many wonderful stories. Marvel at the classic art collection and the stunning interior and furnishings. Spend time exploring the farmyard and browsing in the elegant range of shops. There really is so much to see! 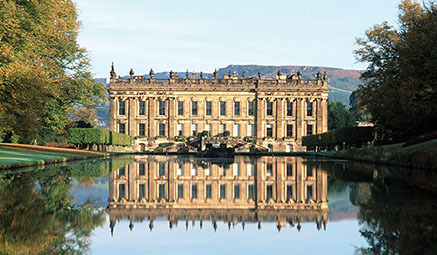 Chatsworth House - Full Day - marvel at the beauty, nestled in the heart of the spectacular Derbyshire Peak District. We’re off to the home of the Duke and Duchess of Devonshire, the Peak District's stunning Chatsworth House, where every ornament tells a story. Wander from room to room steeped in history, marvel at the beautifully manicured gardens and soak up the history of this grand house. Spend time exploring the farmyard, browsing in the elegant range of shops and savouring the homemade food in the restaurant and cafes. Peak District - Full Day - to these sweeping green valleys. 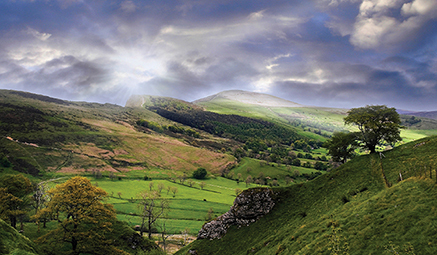 From rugged moorland to rolling dales, it's easy to see why the Peak District was Britain's first National Park. We wend our way through the pretty towns of Buxton and Bakewell, where you will have the chance to sample some of the famous pudding at the Old Bakewell Pudding Shop! You're never far from first class attractions, tempting treats or breathtaking beauty. 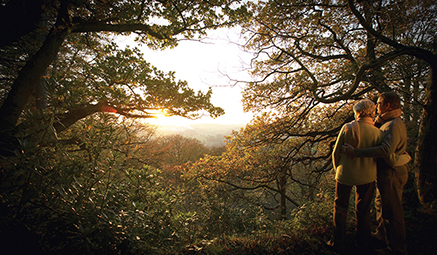 Nottingham - Free Day - spend the day exploring the famous Robin Hood city. There’s so much to see in Nottingham that deciding where to start can be tricky! Visit the impressive 17th century castle at the heart of the city (at your own expense), which even boasts a unique myriad of caves underneath it! Browse the museums and galleries, walk the old streets and try to imagine life in centuries past. Or how about indulging in some fabulous shopping.